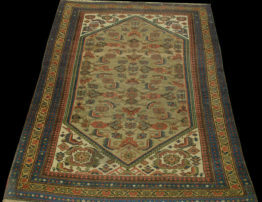 Antique Malayer rugs were woven in Iran, in the small village of Malayer. Malayer is located in northwest of Iran south of Hamadan. 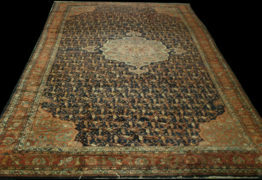 It is famous for its rug weaving. 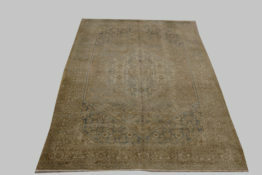 Malayer rugs were made by individual weavers between the 1800s and early 1900s. 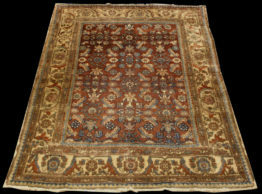 They have detailed, rich, complex designs in the borders and the field. They could have an allover design or a medallion pattern. 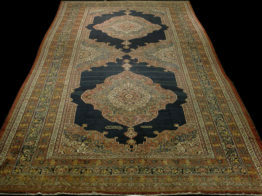 The colors used vary with each rug. 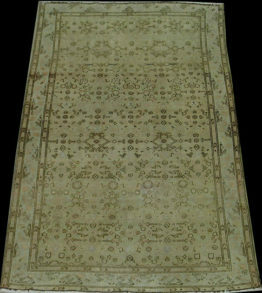 Some rugs have rich color others soft colors. The weave is Sennah or Hamadan weave. 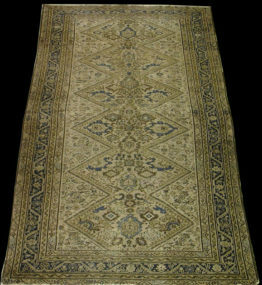 View our large collection of antique Malyers. Each piece has been individually chosen for our collection over the past 30 years. 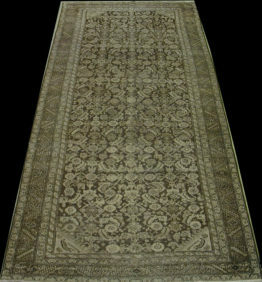 We carry a wide variety of designs, sizes, and colors. 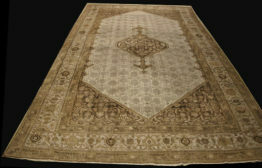 You could choose from soft colors or rich colors, allover design or a medallion pattern. 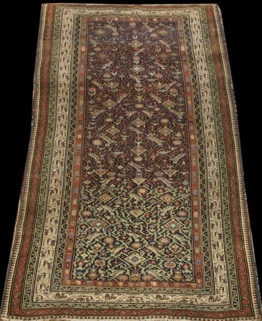 #sa5825antique malayer 6’1″x9’4″ west of persia wool and cotton.